When opening my gifts I got from CreaSint I received one special package. 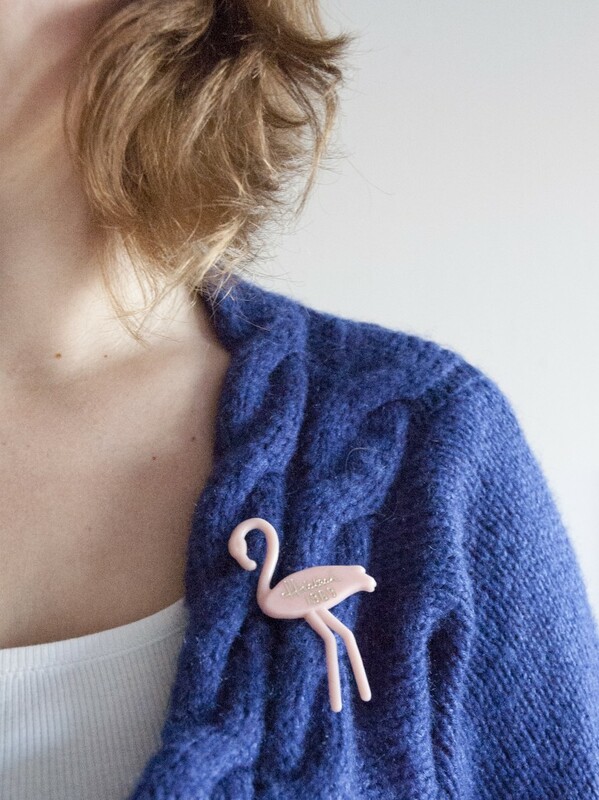 A salmon pink colored brooch in the shape of a flamingo. 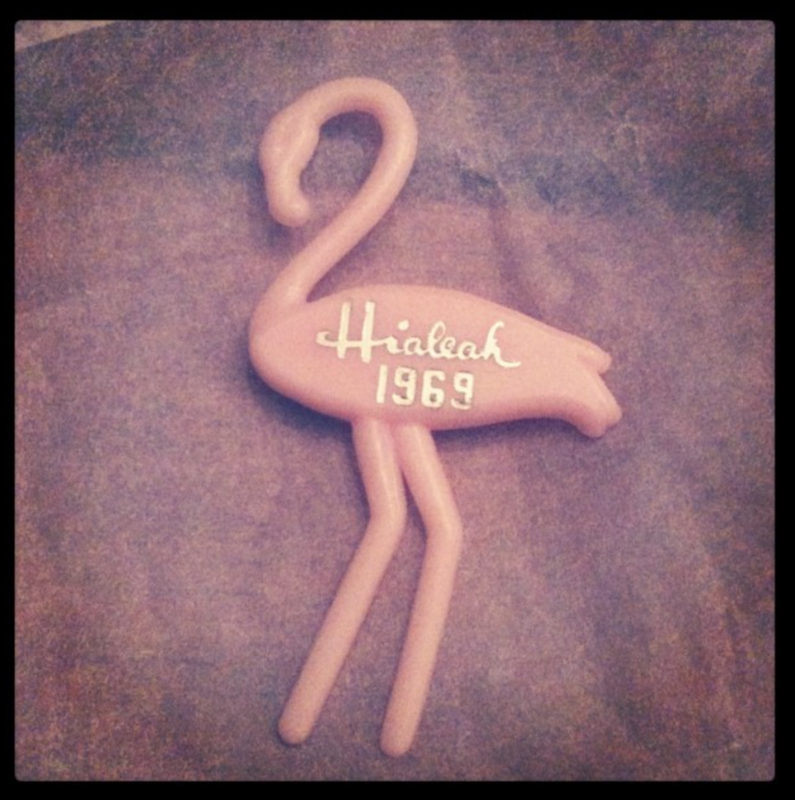 On the brooch there were silver letters saying ‘Hialeah 1969’. 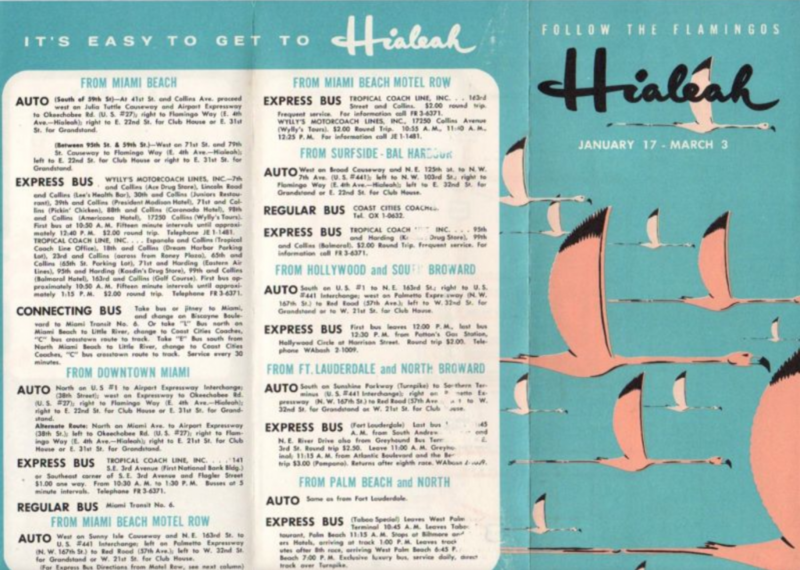 So I wondered… what was Hialeah? 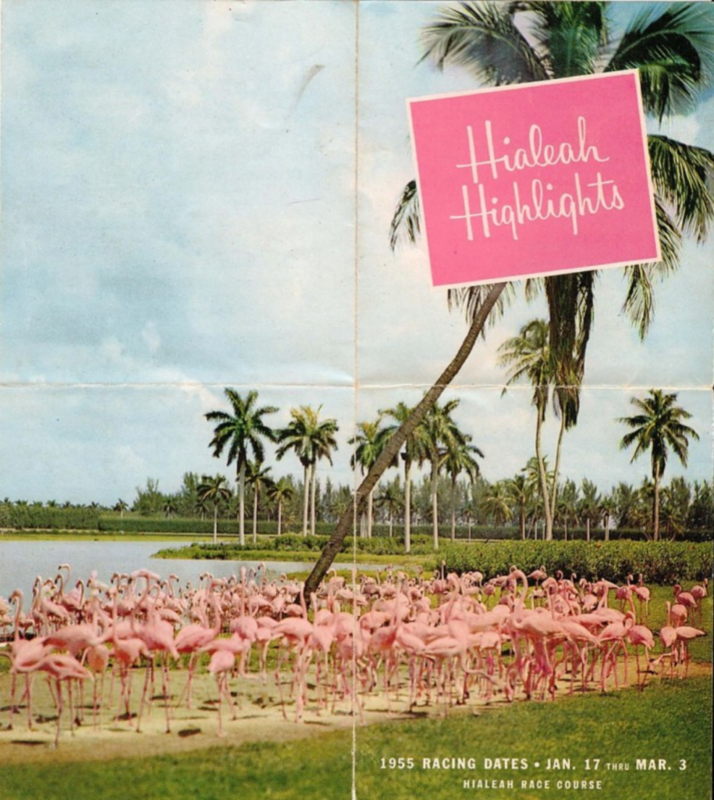 Hialeah is a city in Miami-Dade County, Florida, United States, Wikipedia told me. But why the flamingo? 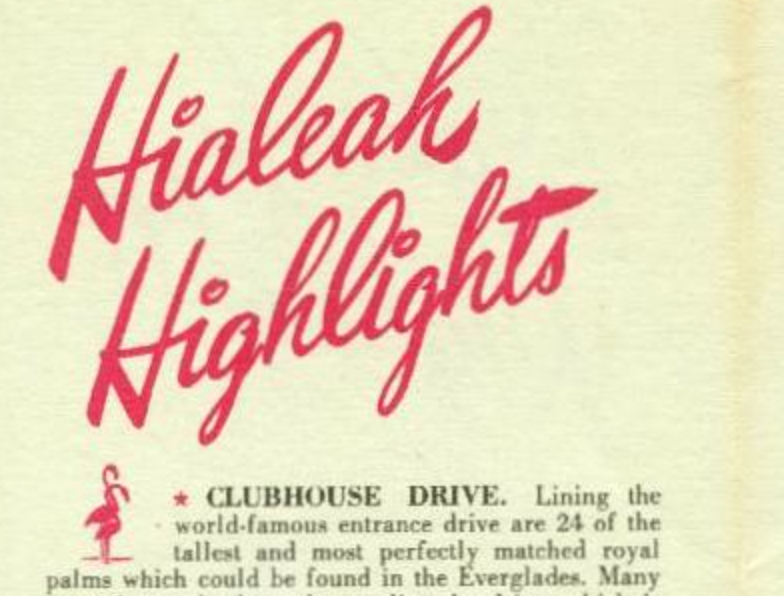 Apparently, there is also a huge park called Hialeah Park. 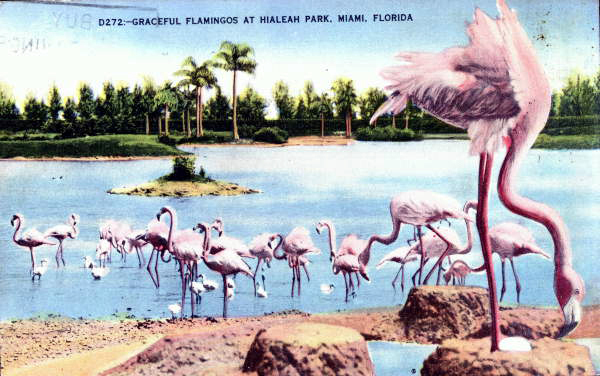 In 1933, these exotic, colourful birds were introduced in the park.The park became so famous for its flamingo flocks that it has been officially designated a sanctuary for the American Flamingo by the Audubon Society. 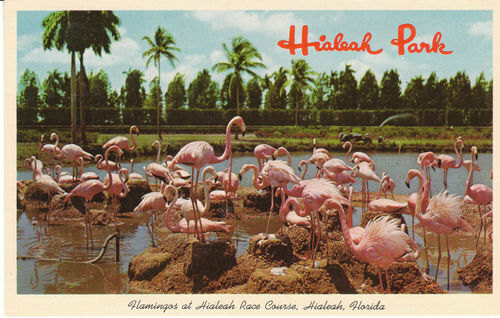 The Hialeah park has a race track! 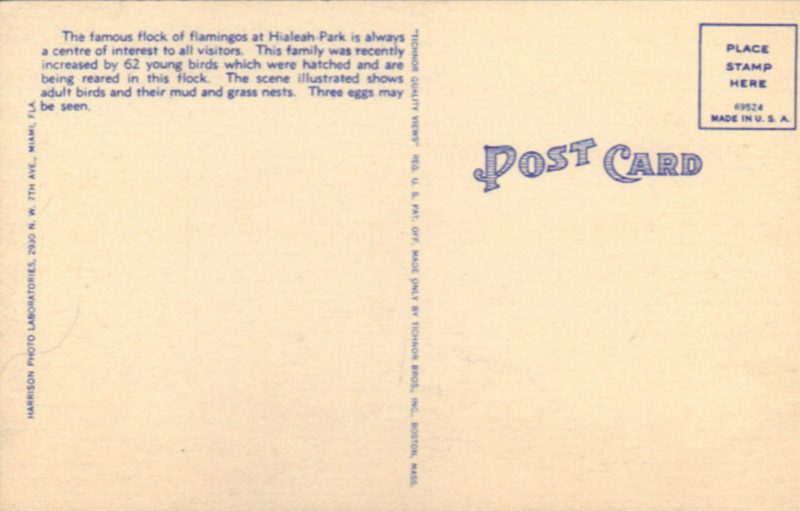 Check it out in the right upper corner of this postcard. 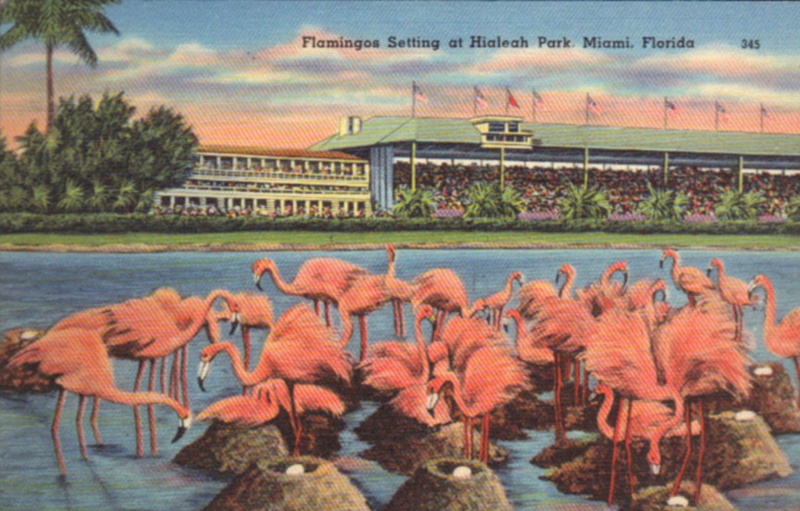 The famous flock of flamingo’s at Hialeah Park is always a centre of interest to all visitors. This family was recently increased by 62 young birds which were hatched and are being reared with this flock. The scene illustrated shows adult birds and their mud and grass nestst. Three eggs may be seen. I love vintage tourist brochures. 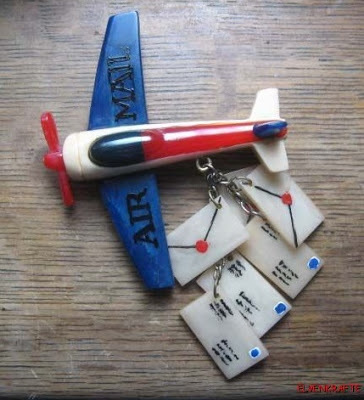 Thanks to ebay you can check these out. Love them! When I watched one of my new favorite series Earthflight, a British nature documentary that shows a flight from the view of the wings of birds across six continents, there was also a flock of Flamingo’s. 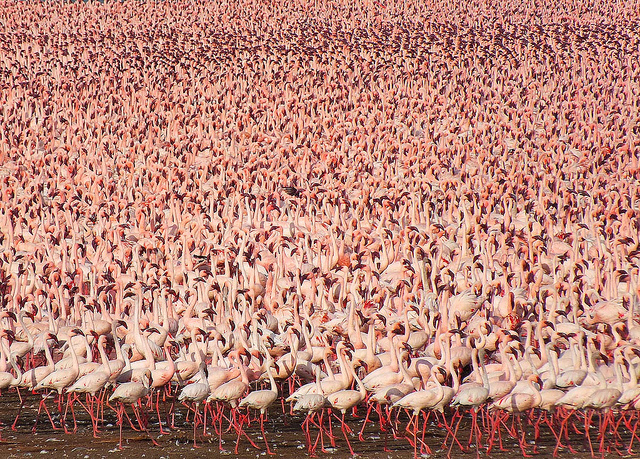 One last Flamingo fact: Did you know that the pink or reddish of flamingos comes from carotenoid proteins in their diet of animal and plant plankton? Oh heerlijk zomerse plaatjes op deze winterdag. 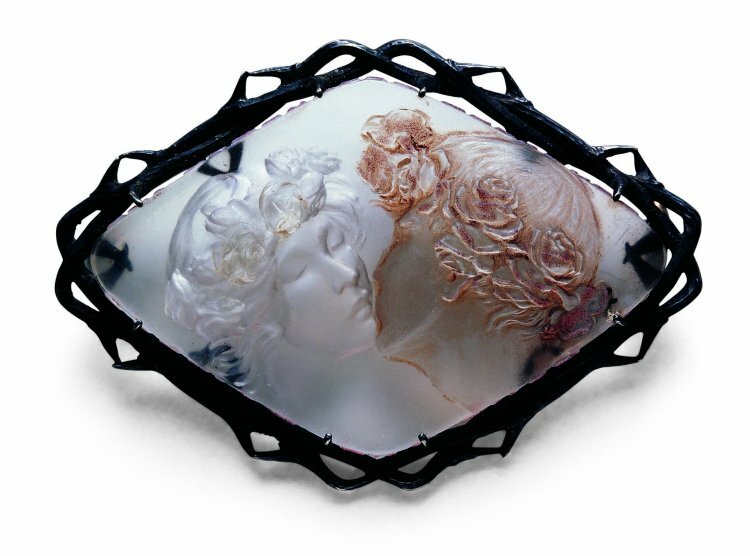 Supermooie broche ook! 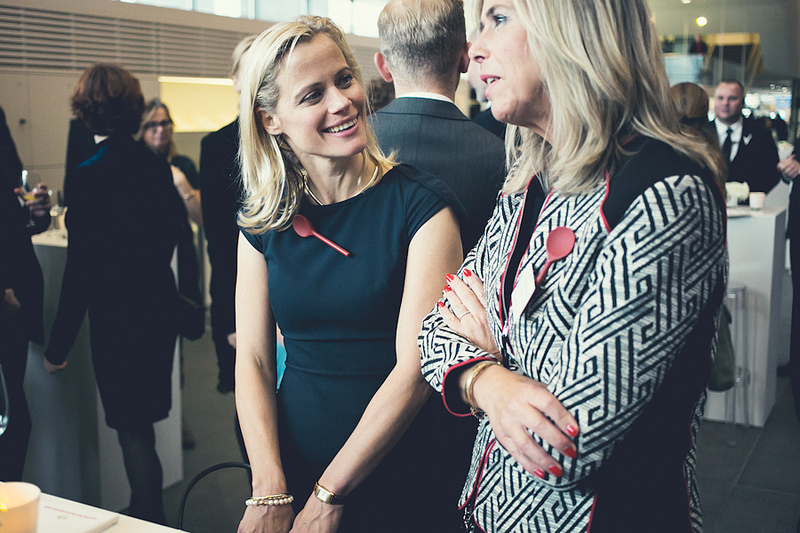 Ja gave broche he :) Lang leve Creasint! Hihi wat een super goed verhaal achter de broche! En zo mooi al die oude ansichtkaarten met flamingo’s. Leuk om te lezen! He Han, dank voor je compliment :) lekker kitsch en vrolijk he die gekke flamingo’s! Creasint – Love, community and… Flamingo’s? !